2018 Car Raffle Winner Claims His Prize! 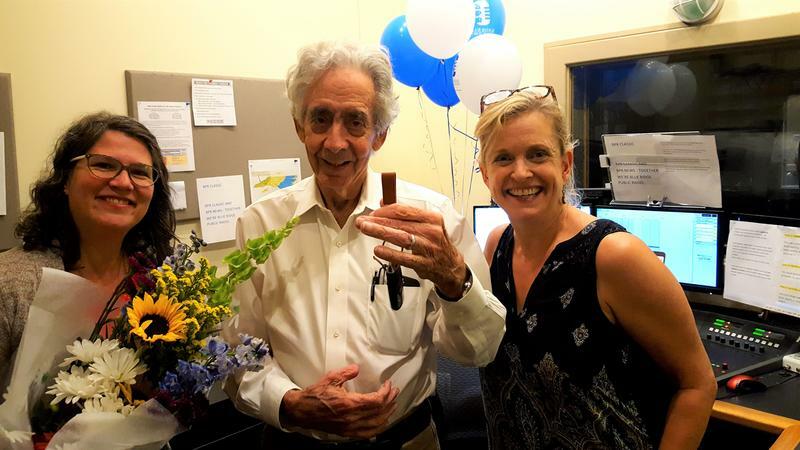 Last month, the winner of the 2018 Blue Ridge Public Radio Ticket To Ride Summer Raffle was selected at random and announced live, on the air. Michael Carlebach of Asheville couldn't believe his luck, but was absolutely delighted. He bought the ticket because he thought it was a fun way to support the station, but he didn't think he'd actually win. The Winner of BPR's 2018 Car Raffle is . . . 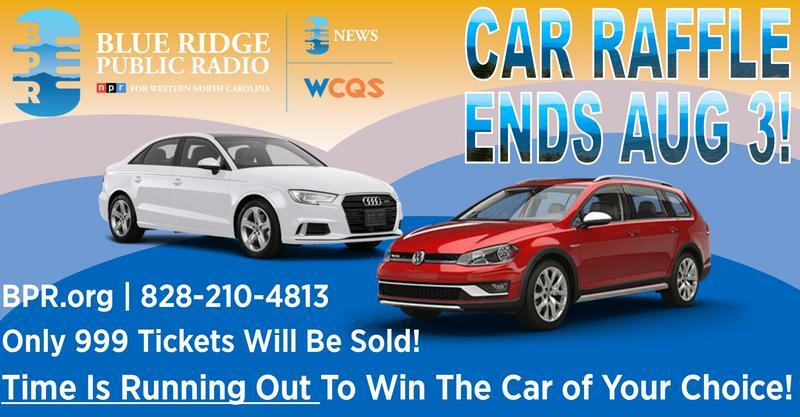 The winner for Blue Ridge Public Radio's 2018 Ticket to Ride Summer Raffle was drawn at 5:34, live on-air in the Blue Ridge Public Radio studios. The winner is Michael Carlebach of Asheville! Congratulations! Michael will choose between a VW Tiguan and an Audi A3 from Harmony motors. We'll post more pictures when he claims his prize. Thanks to everyone who entered the raffle. Only one person could win, but you are all winners to us. Raffle ticket purchases support the programming you rely on everyday. 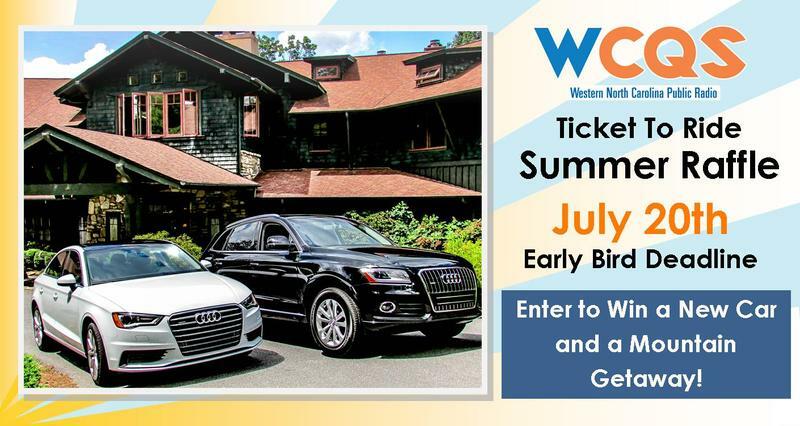 Thanks to everyone who entered Blue Ridge Public Radio's 2018 Ticket To Ride Summer Raffle! It was a near sell-out with 985 tickets sold. The winner will be selected at random and announced on the air on August 15, 2018 during All Things Considered between 5:30 and 5:35. And the Winner is . . . Eve Layman of Asheville! 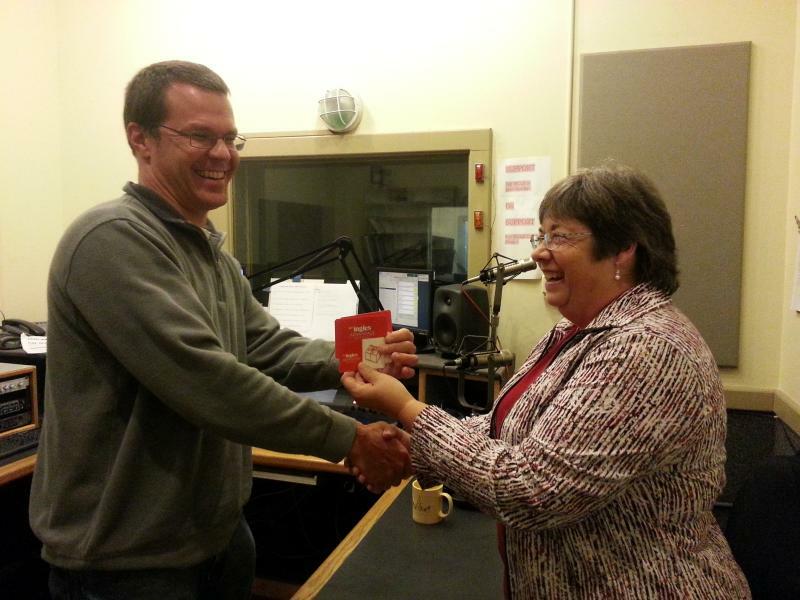 Congratulations to Eve Layman of Asheville! Eve is the winner of the 5th Annual Ticket to Ride Summer Raffle! Our Grand Prize winner had the choice of either a 2016 Audi A3 or Q5. Eve selected the A3 and she's over the moon with her good fortune. Our Grand Prize winner was selected at random and announced on air August 17, 2016. Our thanks to last year's winner, Mark Medlin, Audi Asheville manager, Charlie Shieren, WCQS General Manager, David Feingold and WCQS reporter, Helen Chickering for doing the honors. The winner of the 4th Annual Ticket to Ride Summer Raffle is . . . 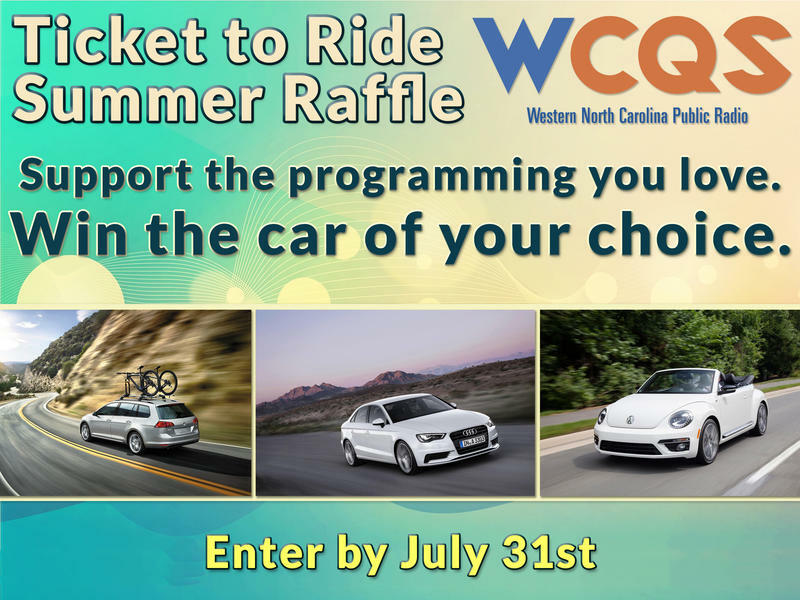 The winner of the 4th Annual WCQS Ticket to Ride Summer Raffle is Mark Medlin of Weaverville! Mark will choose between a new Audi A3, VW TDI Golf SportWagen or VW Convertible Bug from Harmony Motors. Thanks to everyone who entered the 4th Annual Ticket to Ride Summer Raffle! Proceeds from the raffle support the programming you value. You are all winners to us. Carla is also still in the running for our Grand Prize - a 2013 VW Passat TDI SE from Harmony Motors; our Getaway Prize, a luxurious stay at The Old Edwards Inn and Spa; and our Spirit of Adventure Prize, a Dagger Mamba kayak and Yakima roof rack from a generous sponsor.